The post explores Cure for the common comedy. 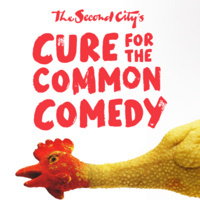 It says that The Second City has the fix, as Toronto’s legendary sketch and improve comedy theatre brings” The Cure for The Common Comedy” Edgy, provocative and always enormously humorous. I liked this site. This is very informative for me. I like comedy, they are so kind, strong and beautiful. This article contains lots of new information for me. https://codessaver.com/store/fascinating-diamonds/ I find it very interesting. The writer of this blog is doing a great job. Keep it up and hopes to see more.